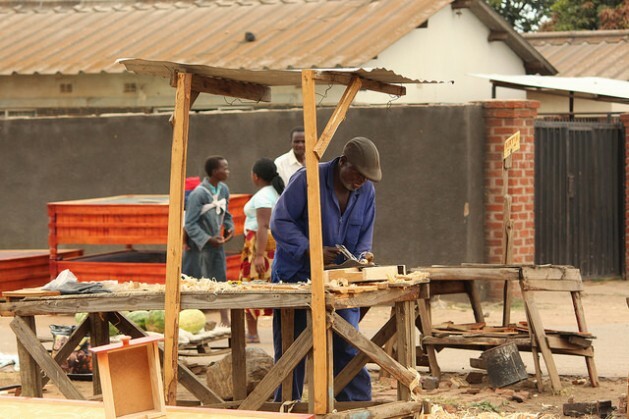 In Harare, there are now 18,500 people working in informal carpentry, up from 7,000 five years ago. During the same time period, formal carpentry jobs fell by almost the same amount, declining from from 22,000 to 13,000. Conclusion: the jobs have moved off the books. As Tracy Chikwari, a 36-year-old single mother and System D entrepreneur told the news service, "I bought two houses here in Harare by trading in furniture that I guy from the informal market and I have no doubt this feat is taking me to greater heights." An anonymous official complained to IPS that the carpentry business is so strong that the government is losing $32 million a month in unpaid taxes. But, as one sensible carpenter noted, taxation is a social contract: "Paying the government tax for our activities depends on what we also get from them. But we are getting nothing."